While attending a meeting on Capitol Hill with legislators and their staff on the myriad of over twenty proposed cannabis law reform legislation pending before Congress, a youngish legislative aide viewing a spreadsheet of all the varying bills, whilst listening to all of the talk of effectively nothing passing in this Congress, looked up dazed at everyone and suggested that ‘this potpourri of piecemeal legislation can’t really be passed without trying to address the underlying issue: federal prohibition statutes and guidelines’. Yep, you got it Skippy! The ‘Catch-22’ of cannabis law reform as most of the states claim they can’t substantively reform cannabis laws unless the feds first do so via the herbal drug’s drastic misplacement in Schedule I. Despite nearly four thousand licensed businesses in the US at the state level focusing on cannabis, they don’t have genuine access to banking services, and many conduct themselves as ‘cash only’ operations, because of 1980s anti-drug laws directed at banks. More than sixty percent of the electricity in the western US is derived from federally controlled dams and power production. State legislators and some legal counsel representing cannabusinesses in western states have concerns of running afoul of federal enforcement and regulators regarding some very large and now state-sanctioned cannabis cultivation centers (i.e., 50,000-100,000 square foot indoor grow operations). Dozens of Native American tribes are asserting the rights, similar to operating casinos, to cultivate, process and have retail sales of cannabis. A tribe in South Dakota recently announced publicly while showing state officials and law enforcement their large cultivation operation plans that they plan on commencing with retail sales on January 1st. The policy, taxing and enforcement implications of these tribes invoking their autonomy are profound for the federal (and state) governments. With thousands of cannabis-related businesses will come dozens of annual bankruptcies and as investors increasingly are interstate, bankruptcy protections are increasingly being sought in federal, not state courts (this is a major problem when the federal government considers the base of the commerce illegal, ill-gotten gains, criminal succor, etc…). Similar to the banking and cannabis conundrum presented by federal anti-drug laws, Internal Revenue Service also has ‘left over’ regulations that don’t allow business owners engaged in ‘illegal’ commerce to deduct standard business expenses from the company’s business income tax filing. But, what if the commerce is no longer ‘illicit’ anymore by popular vote in states that are currently collecting tens of millions annually in taxes, licenses and fees? Oh, that drug-scheduling thing again…from medical cannabis patients to cannabusiness owners, they technically can’t buy firearms or ammunition (part of the rules for FID compliance indicate that the individual can’t use a schedule I drug, like cannabis!). Unfortunately, federal gun laws seriously retard Second Amendment rights for citizens involved at all with cannabis. While voters in states legalize cannabis commerce and use, what of the millions of federal workers or military employees (not on the frontline), so too with students over twenty-one years of age at federally funded colleges and universities? Puget Sound Coast Guard in Washington State (along with other districts in the US where applicable) find themselves confronting obvious contradiction between state and federal cannabis laws when they are well aware that high-tech cannabis processing machinery is being transported on federally-controlled and licensed ferry systems, and that finished product returns from outlying islands and regions for retail sales in more populated cities. Once again, federal laws created to thwart the mob and racketeering in the 1970s are now being misapplied by anti-cannabis organizations (and the Holiday Inn corporation, in a Colorado case) to file federal lawsuits against state-sanctioned cannabusinesses to harass them out of existence. In about a dozen states (including the four states with full legalization) farmers can now grow industrial hemp despite the federal government effectively banning such. But, this all came about because of what could be ephemeral political intervention from an unlikely source: Republican political leadership in the form of no less than Majority Leader in the US Senate Mitch McConnell, and, the junior senator from the state, Rand Paul (Kentucky is at the forefront of legal industrial hemp farming in non-legalized states). State and local zoning officials are vexed by another ‘war on drugs’ non solution in the form of so-called ‘drug-free zones’ (1,000 feet from federally funded schools, hospitals, veteran centers, etc…). In many of the states with legal cannabis commerce regional/urban planners would like to employ similar footage for alcohol-related businesses, for example, which is 500 feet for problematic adult commerce. There are memos at a number of US airports indicating that legitimate medical patients are not targets for federal law enforcement, effectively allowing them to board planes with what otherwise could be considered obvious and illegal contraband. States with legal cannabis production are scrambling to create laws, regulations and guidelines regarding what kinds of pesticides and growing agents are acceptable for commercial cannabis cultivators, while, because of antiquated federal drug laws, the logical federal agencies with expertise and resources to provide counsel on this important consumer and patient concern—Environmental Protection Agency and Food and Drug Administration—can’t. How is this mighty Gordian knot going to be most hastily cut? 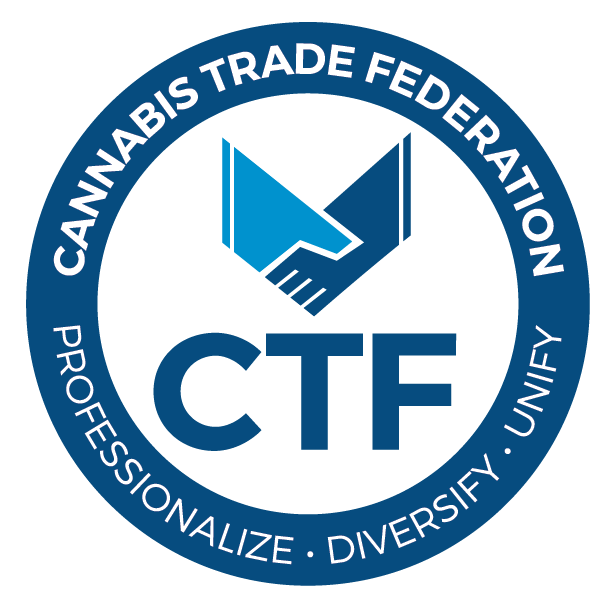 In the absence of the major changes needed in federal cannabis prohibition laws, state cannabis legalization initiatives in numerous states are planned by reformers in 2016 (CA, NV, AZ, MO, MI, MA and ME) and legislation is expected in Vermont before year’s end that will make the state the first to arrive at legalization via more conventional path of legislation than voter initiative. When (not if) Vermont achieves this, a ‘dam burst’ effect will soon take hold in a dozen or more states as other state legislatures and governors quickly move to end cannabis prohibition too.